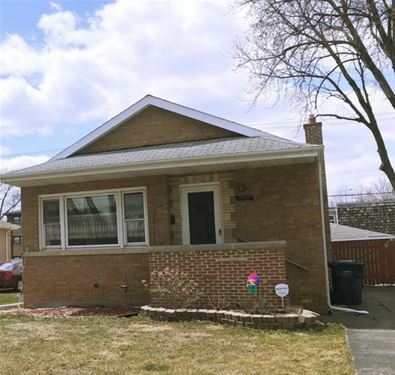 Well maintained Evergreen Park solid brick raised ranch with beautiful hardwood floors, eat-in kitchen with oak cabinets and ceramic tile floor, generous sized bedrooms, full basement great for storage, fenced yard, and side drive to 2 car garage. Close to parks, shopping, and metra and bus lines. For more information about 9210 S Troy, Evergreen Park, IL 60805 contact Urban Real Estate.